Mobility Solutions is proud to announce that our stores have been shortlisted for the Dealer of the Year for Product Growth & Development award at the 2018 Access and Mobility Professional (AMP) Awards! The Dealer of the Year for Product Growth & Development award recognises mobility dealers that have worked on innovative ways of growing and have proven their strategies are effective at realising the potential of products in the market. The awards will celebrate the achievements of retailers and dealers in the UK mobility industry. This is the first time that a dedicated awards event has been held to mark achievements in the mobility retail sector, recognising the importance of customer service, forward thinking and business success. We’ve received this nomination for expanding our footwear section in the Mobility Solutions Glasgow shop and our recognition of this market. The store design has created an entire room for footwear. As some of you may be aware, we’ve tripled the size of our footwear range since the creation of the new section. 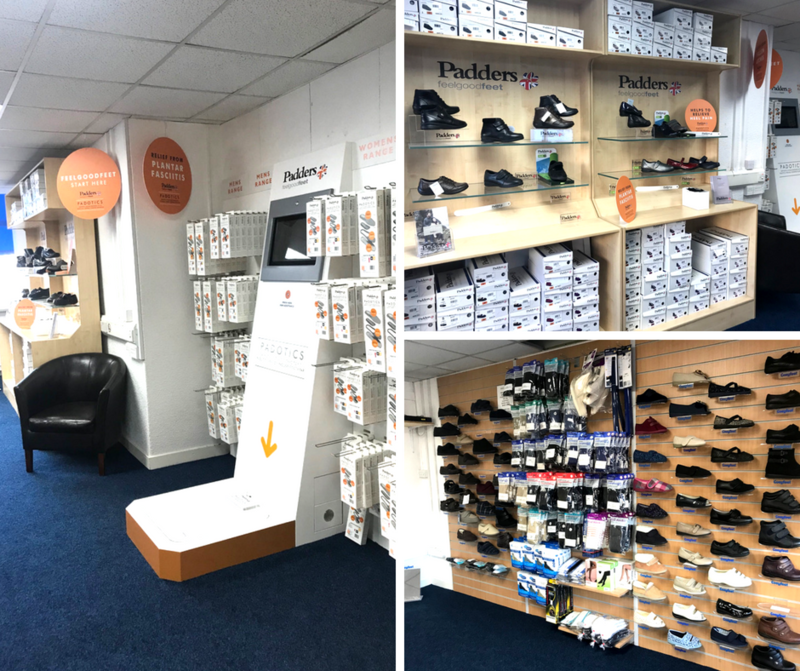 This means that we can offer unrivaled options for shoppers when it comes to footwear – creating an alternative to high street show stores with limited options. Our shoe range is available to view and buy online today!